﻿ About Us - Method is a Design, Engineering, and Manufacturing Company. Since 1981 Method has built the reputation of being a trusted partner by successfully bringing customers' products to market. Whether it's the creation of point-of-sale displays, OEM or After Market products or the re-engineering of entire manufacturing processes, METHOD has worked tirelessly across a wide variety of industries to redefine what is possible. This consistent track record exists because the company has been partner-owned and operated since its inception. METHOD operates from a modern manufacturing facility in Langley British Columbia, which in 2000 became certified to the ISO 9001 standard. We not only apply rigor to design and manufacturing but also offer creative services that leverage the latest technology and materials. The result is a modern company and a facility that works with designers and entrepreneurs to rethink how they create the WOW effect on their projects. Our greatest asset is our people. METHOD’s team is dedicated to working together to stretch the capabilities of production and accomplish what no one else can. 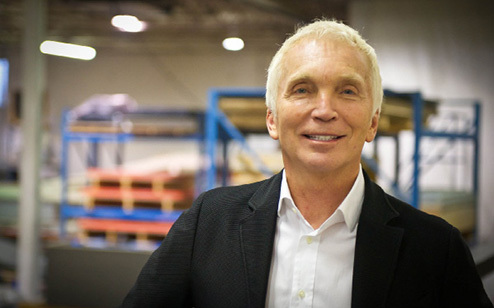 “The reason for our success is our people and the way we treat customer projects as if they were our own.” Larrie believed this and championed this belief every day at METHOD, from our start as a small plastic fabricating shop 34 years ago to what we have become today. As our founder, Larrie helped us remember that we are at our best when design, engineering and manufacturing are working closely together. Larrie always put the customer first, and backed that up by instilling his values of innovation, inventiveness and integrity in every team member. While we sadly lost Larrie in the spring of 2017, we, his METHOD family, are committed to living Larrie’s values and honouring his legacy. Our President studied Mechanical Engineering out east and came to BC for a short visit after graduation, he never left. Carl has been with METHOD since 1999, and now oversees all departments to inspire and motivate our team to be the best. He likes breaking boundaries, not fearful of trying new initiatives. This keeps METHOD moving ahead in the right direction. Carl likes not knowing what new project is coming in the door, so being a part of a creative team is definitely a highlight of being on the METHOD team. With his eye for detail, Carl always has METHOD’s main goals at the top of his list. You can find Carl sledding near Whistler in his spare time, or out riding trails on his bikes. 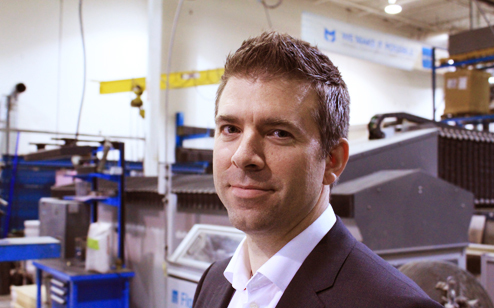 Randall joined METHOD in 2017, bringing with him over a decade of experience in custom manufacturing and a knack for finding new value for the customer. He believes in the value of redefining what is possible and that the best results come when design, engineering and manufacturing are working in concert on a single goal. Randall balances strong creative thinking with a technical, logical and analytical flavour that challenges assumptions and seeks the “better answer” while working to keep things entertaining and fun for his coworkers. Randall happily spends his free time keeping up with his two young girls and the cat, dog, gecko and gerbil menagerie. Born in South Korea, KJ moved to Canada in her early 20’s. She holds a Bachelor’s degree in Industrial Design and a Minor in Psychology from attending Carleton University in Ottawa. KJ joined the METHOD team in 2007. KJ loves how each project holds uniqueness about it, no two projects are alike, this keeps her out of the normal day to day routine of an office job. 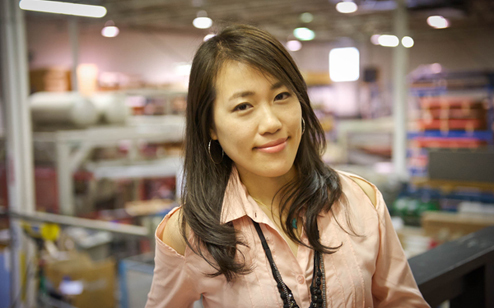 Her knack for organization, commitment and having a creative spirit makes her a perfect fit for the METHOD family. When KJ’s not working with clients to bring their idea to life, you can find her stretching her limits in yoga or visiting the mountains. Patrick Westbroek started his career at METHOD over 10 years ago. Starting in Production, Patrick quickly moved into the Executive Administrator, and then into Account Manger role. Patrick is the friendly voice and face of this business when you have an idea or project. 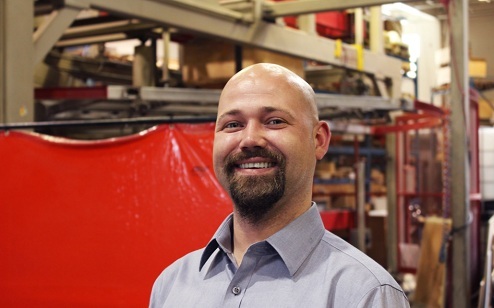 With a passion for continuous growth and customer service, Patrick’s role makes him a valuable asset to METHOD. Volunteering to assist the elderly is an activity Patrick does in his spare time, he also has two Great Dane “kids” to keep him on his toes, and trust me those pups are a handful! Cristian Romo has a long history with METHOD that dates back to 1989. Originally from Santiago, Chile, Cristian moved to Canada when he was a young child. Since then he’s built a career with METHOD and enjoys spending his free time with his wife and four daughters. Cristian’s years of dedication in Logistics, Supervising, Health & Safety, First Aid, Payroll and Human Resources, reminds us every day that Cristian is a valuable member of the METHOD team. What excites Cristian the most about working at METHOD? He loves seeing the development of an idea into a physical product. Greg hails from Ireland. During a summer trip to BC in 2010 he loved the experience and what he saw so much that after college he returned to live here full time. Greg joined our team in 2015. 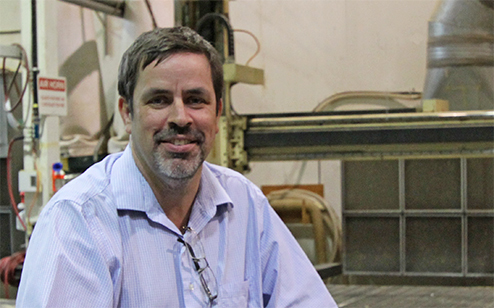 If you don’t find Greg in the estimating and design department he is probably in the shop looking for the most cost effective and efficient method to turn your great idea into reality. When not at work, Greg enjoys sailing, wakeboarding and snowboarding. He also plays football, or soccer as we Canadians call it. Florin has been with METHOD since 2010. He started in production but has moved into production scheduling. 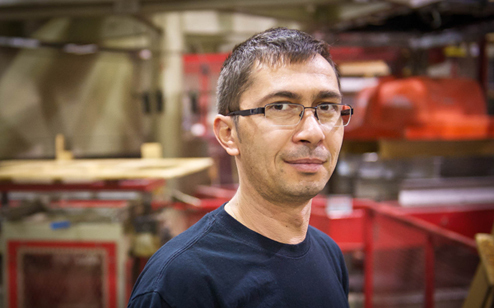 Florin came to us with an education in Mechanical Engineering. Since he has joined our team, Florin has been a big contribution. Florin enjoys working with people and coordinating the day to day operations. 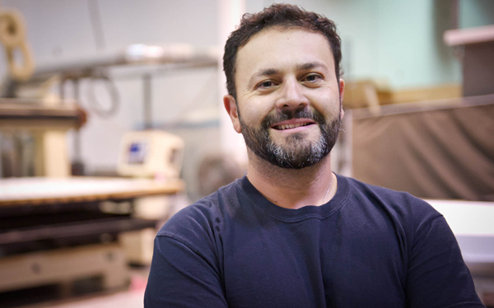 With experience in manufacturing and distribution, Florin has a knack for improving efficiency around METHOD. Originally from Romania, Florin came to Canada 7 years ago to be with his family. When he isn’t spending time with them in his spare time, Florin enjoys outdoor activities, gardening or renovating the house.